"Sami, Sami!” two Ethiopian beggars shouted with their hands held out on a misty afternoon in Little Addis, an Ethiopian district on Jeppe Street in downtown Johannesburg. Shiferaw is one of the early Ethiopians who migrated to South Africa post-apartheid in 1998, after passport restrictions were lifted. Though he left Ethiopia for political reasons, he is committed to his countrymen, who also emigrated to find opportunity and raise healthy families far away from home. The busy streets in Little Addis, an Ethiopian district on Jeppe Street in downtown Johannesburg. Early on, he sold CDs, shoes and belts out of a small tent downtown, while also developing a relationship with the Chinese that has allowed him to become a well-respected businessman. 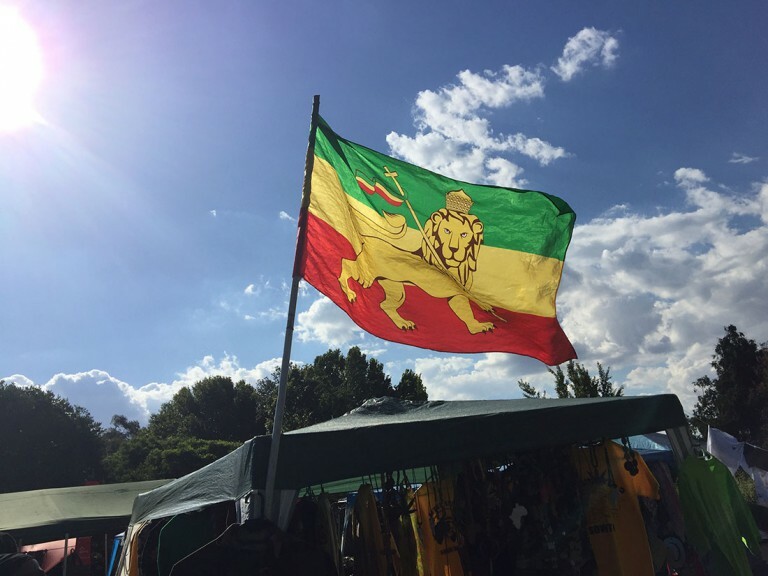 Today, he co-owns three properties in Little Addis: two wholesale centers named Medical Center and Randine. He also co-owns a hotel called Rand Inn and is in the process of selling his share. Medical Center, which houses more than 100 mini shopping booths, was his first investment with nine other shareholders, purchased from the Taiwanese. 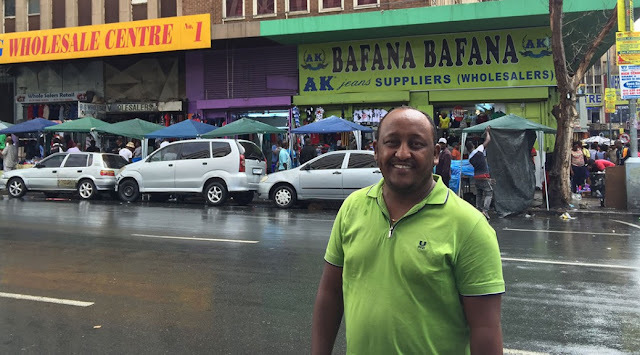 In his experience, Shiferaw said Chinese businessmen are reluctant to form tight business relationships with South Africans and those from neighboring countries. So, he enjoys the trust he and other Ethiopians have developed with the Chinese community. While the Chinese predominantly import products, mostly Ethiopians and other African businessmen act as wholesalers and retailers. Almost 90 percent of retailers in downtown wholesale centers are Ethiopian, according to Shiferaw. In fact, China is currently investing in building stronger affairs with Africa. In 2015, Chinese President Xi Jinping announced China’s intentions to invest $60 billion into the continent, hinting at a long-term relationship between Africa, particularly South Africa. “Without Chinese we can’t survive,” Shiferaw said. “Without Ethiopians they can’t survive, also.” Although Shiferaw found success as a businessman, there is more to his story than economic gain: He is a father, a husband and a friend to many, experiencing pain in each role. Shiferaw migrated to South Africa on an extensive 3,500-mile journey. He took a pit stop in Kenya and witnessed unforgettable incidents, like famine, poverty and war, along the way. In Johannesburg, he watched his best friend get killed while trying to stop a robber at their friend’s shop a couple blocks away from his wholesale center. Unlike Shiferaw, Wondimu Abdissa, who left home for political reasons, does not consider South Africa home. Ethiopia had experienced years of famine, war and instability in the years leading to his move to South Africa. He hopes to go back home or resettle in the United States once he becomes more financially stable. Abdissa owns a traditional Ethiopian restaurant atop Randine and works with his wife to maintain the business. While South Africa celebrates the 20th anniversary of its notably progressive constitution, Abdissa hits two decades of residency in the country that still doesn’t feel safe. 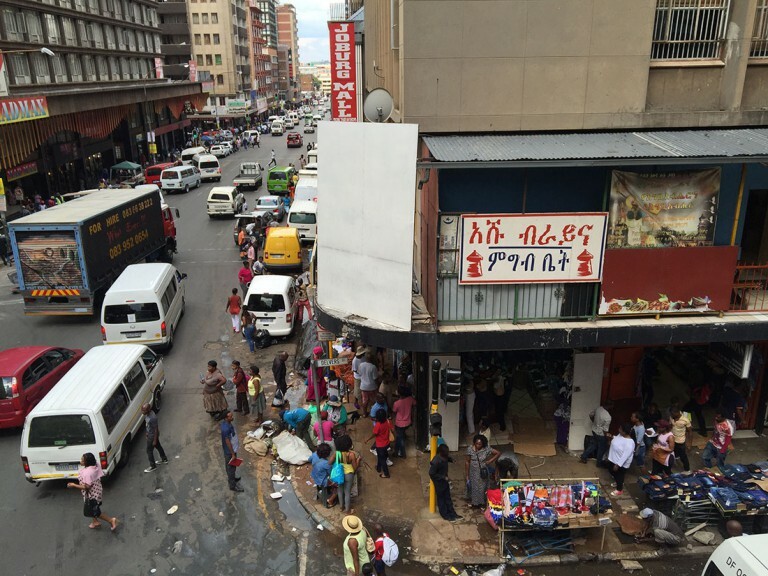 In 2015, a series of xenophobic attacks targeted Ethiopians, among other immigrants. The incidents included petrol bombings, shooting incidents and mob attacks on shops. Both Abdissa and his wife have doubts for their children. Abdissa said he doesn’t feel comfortable allowing his daughter to play outside due to the crime. Meanwhile, his wife is concerned their daughter will lose some of her Ethiopian identity. Yet, he remains hopeful for a better future, and so does Shiferaw.